Days of a salesperson with an oversized briefcase filled with paperwork and catalogs have long gone. Instead of suitcases, sales reps now use devices and gadgets. B2B field sales have evolved in so many ways… and are here to stay. 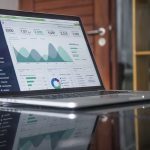 Technology can’t change the basic principle of how field sales are done, however, it can greatly increase performance and ease salespersons job. 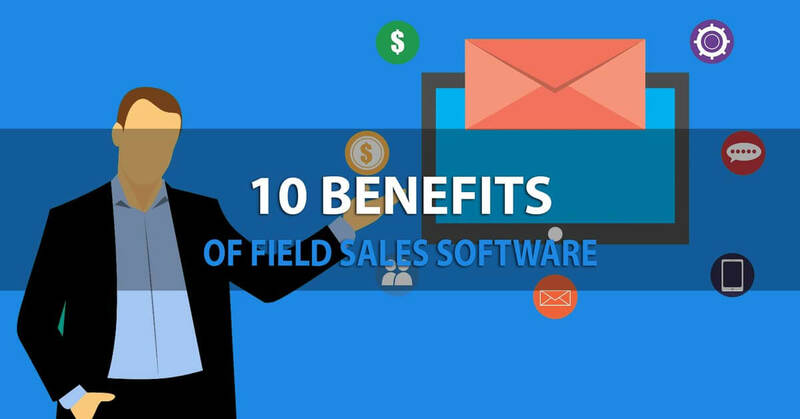 If you are wondering how is that exactly, here are the 10 benefits of field sales software. Because field sales software utilizes real-time data transfer, sales reps are able to book orders with a click of a button, without any further interaction with the back office. There is no need to send a request to check the inventory or to wait for your inventory manager to come back from his meeting so you can have a definitive answer. Instant inventory updates assure sales reps are selling only in-stock items. In just a few clicks of a button, your order is ready. Forget about going back to the office, filing another document, composing the order, typing obnoxious email etiquette and waiting for the client’s response. Oh and let’s not forget screaming internally at the printer for refusing to work yet again. Instead of relying on 20th-century technology, modern field sales app allow you to complete the sale right on the spot within the interface. When you are able to collect a lot of information about the client under a single solution like Intelisale, you can take a more personalized approach and act as a valuable consultant. For example, Intelisale’s Client insights save time in meetings, as you already know what the client needs are. This data can also empower you with extremely valuable info to increase the sale. This very personalized and data-driven approach results in increased sales orders, as it gives you – a sales rep, more time to establish a meaningful relationship and work on cross-selling or upselling. Today, acquiring information is not a problem. However, the challenge is making it time-relevant, available and presentable in all occasions. The best field sales software are based on machine learning logic and work more as an assistant than a sales tool. It automatically empowers you with the most important information regarding the specific client and gives suggestions on how to most efficiently fulfill your sales quota. Field sales app powered by valuable data and technology can increase your revenue at the same level as if you added another sales channel. It should be that effective. With enough data to feed this knowledge-hungry belly, AI can anticipate buyers’ needs: How have their needs evolved; is their order size seasonal; are they buying more or less? Consumers expect more and more of their buying needs to be anticipated. 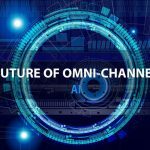 According to Accenture 4 out of 5 people (81%) want companies to understand their purchasing habits and have appropriate suggestions offered by 2020. We can see this trend spilling over into B2B and into all sales channels. 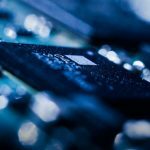 Many will say that AI is the force behind the 4th industrial revolution, and that is because of its massive potential in speeding up processes with disproportionately lower costs. So why not use this technology to develop a sales app with the ability to study user habits in order to serve them with far greater accuracy? This is exactly what Intelisale did. In Intelisale Sales App, every purchase and preference patterns are analyzed and the findings are applied to improve customer experience. Every next sales order allows more room for improvement and becomes more seamless and personalized. Who figured that data and technology should be used to give a personalized approach while buying? Amazon. You probably noticed it yourself, how Amazon seems to know exactly what you want to buy. Like they were reading your mind. In a way they did, they used an artificial mind to predict what yours would do, and they got it right. It’s really fascinating. So, next time you pay a visit to the customer you have a far greater chance to make a sale because you are presenting products they’ll actually be interested in. It’s a good thing when customers elicit interest by requesting quotes during your visit, but in a world without great technology, it’s a 3-4 day hassle to finalize the order and send the quote. It is a hassle as sales rep needs to return back to the office, check the inventory, fill-in the paperwork, wait for the manager to approve the order and then, finally, craft the email and send the quote to the customer. What happens when you use powerful field sales software, is that in just a couple of clicks you create a form, convert it to PDF and send it to the client while the two of you are still chatting. Everything you need is already preset within the app by different managers and it’s a click away. Sales route planning is nothing new. As a matter a fact, the idea is ancient. Solutions from the ‘50s and ‘60s relied on math, but today’s solutions are improved with technology. Intelligent route planning system calculates the best possible route field sales reps should take at the specific moment, keeping track of current traffic situation. Best sales routing apps work together with your CRM and even suggest the customers that you should visit at that point, give you the necessary information about every one of them and anticipate how much time you should spend with each customer to visit all the clients you planned for that day. Intelisale Routing app is integrated within the field sales app – so you can plan, start and complete the entire day within one program. A good sales management software system integrates with your ERP and makes inventory management much easier. Because real-time data sharing allows real-time overview on the latest inventory levels, this helps managers with making important decisions regarding new orders. It also gives inventory managers the ability to optimize existing inventory for the most profitable current customers. A smart catalog is an integrated part of Intelisale omnichannel sales solution that can be adjusted according to your and your customer’s needs. This catalog not only feeds data into your system, but it can choose the products that a certain customer needs to see while omitting those he doesn’t need and make a proposal of similar complementary products that can be bought with it. This is important because customers don’t want to be overwhelmed with information. Smart Catalogue establishes a sense of professionalism – if your customer is in the automotive industry you wouldn’t be presenting them medical supplies. Less superfluous information makes it easier for customers to make a decision. Real-time data processing allows sales reps to have useful information on hand when it comes to order status. When a customer asks about order status, his sales rep can get an answer just by looking at the order status in the app. Sales reps can quickly find out whether the order is verified, in preparation, waiting for advance or in some other delivery stage. Keeping track of what needs to be done is crucial for reaching targets in any sales-driven organization. 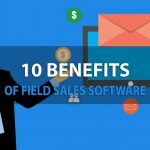 Good field sales software goes beyond just citing the required amount of sales to fill the necessary quota. It helps sales reps reach their goals by giving recommendations which client to visit first, are there opportunities for cross selling and upselling, what products offer higher margins, etc. Even sales reps that are filling their quotas in a nick of time will get better and will stimulate the other in the team. How? 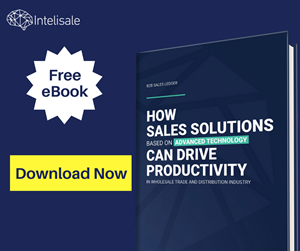 Intelisale’s solution has integrated gamification so even the best performing sales reps can be motivated to set a new high score on the leaderboard. Data analysis – When there is lots of data to be manually analyzed, confusion can easily arise. Especially when it comes to data originated from multiple sources. In these situations, errors may occur and wrong decisions can lead to a complete waste of resources. AI powered sales management software like the one within Intelisale solution, takes the pressure off your decision making the process by providing all the data in real-time within single dashboard. Time management – Too much manual data processing leaves no room for leading sales teams. This affects management productivity and the company’s bottom line. By having Different report types with data coming into single point like Intelisale platform, it allows easier analysis of sales performance, whether by division, territory or individual sales reps and customers. What is even more important – by identifying top performers, managers can use the software to dissect their success and try to implement the best practices with the rest of the team. If you are not using any application to manage field sales, now is the time to start. Even if you already have implemented a similar solution, do dare to check if something works better. What we can say is that Intelisale is more than a field sales app, it’s a complete solution developed to dramatically empower B2B wholesalers and distributors with large product portfolio. You can request a demo and our experts will go through all the features and how they can help you and your company.